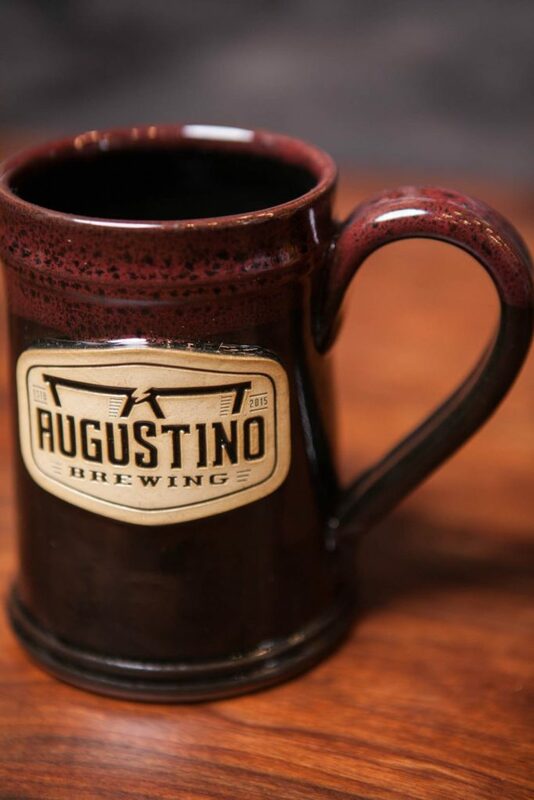 You can join our Ultimate Mug Club outright through our Augustino Brewing Co. App on iOS or Android, and we like that. But there’s a pro move to get your start in the club and have a great time to boot. Reservations not required, but it’s recommended you call ahead to be certain a tour is planned for the day you’d like to visit. A 45min-1hr tour of Augustino Brewing Company’s brewhouse. We go through everything we do from grain to glass and have a great time doing it. Your first beer each week is INCLUDED – That’s 80oz of beer! Reservations not required, but recommended and can be made through Eventbrite. An hour session covering the basics of tasting craft beers; includes 3 samples throughout the session. A brief tour of the AugustinoÂ Brewing Company brewhouse. So, basically, you get a great seminar (and/or tour), a pint glass and 80oz of Augustino Brewing craft beer for just ten bucks! Try finding a deal like this anywhere else. Finally, both of the above programs are available for private groups! Email augustine@augustinobrew.com if you’re interested in scheduling a group of 5 or more for either a Beerology evening or Brewhouse tour. Your group will get all the same perks of the scheduled sessions!